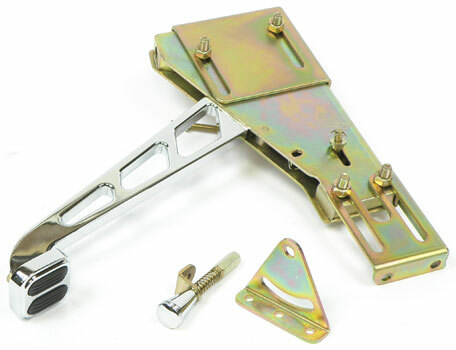 Classic Industries offers a wide selection of Brake Components for your Chevrolet Bel Air. Classic Industries offers Chevrolet Bel Air Parking Brake Parts Chevrolet Bel Air Brackets, Chevrolet Bel Air Bushings & Seals, Chevrolet Bel Air Cables, Chevrolet Bel Air Hardware, Chevrolet Bel Air Park Brake Calipers, Chevrolet Bel Air Pedal Assembly, Chevrolet Bel Air Pedal Pads & Trim, and Chevrolet Bel Air Release Handles. 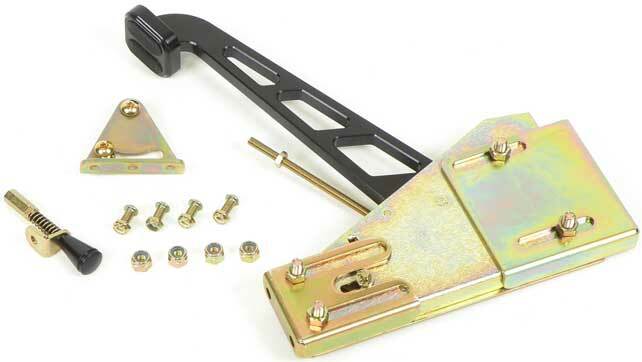 This complete emergency brake assembly for 1957 Chevrolet full size models comes fully assembled and includes the rachet, release handle, and cable pulley bracket. Replacement controller is for when something happens to the controller and it is out of warranty or is damaged. Made in USA Fits all vehicles. Replacement actuator is for when something happens to the actuator and it is out of warranty or is damaged. Made in USA Fits all vehicles. Reproduction parking brake clevis for 1955-57 Chevrolet full size models. This clevis attaches to the end of the front park brake cable and the idler lever. Includes clevis, pin, and cotter cey. 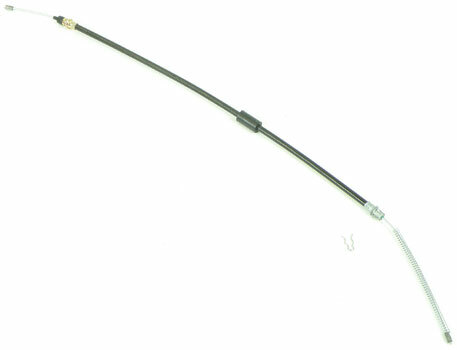 This reproduction rear parking brake cable fits all 1955-57 Chevrolet models and is manufactured to original specifications to ensure correct fit and appearance. This reproduction of the original parking brake handle for 1955-57 Chevrolet full size models is 100% correct in appearance. It is glossy black steel with correct groove details and reinforced with a thick steel spine. 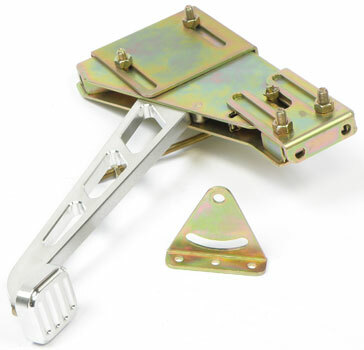 This complete emergency brake assembly for 1955-56 Chevrolet full size models comes fully assembled and includes the rachet, release handle, and cable pulley bracket. Reproduction parking brake idler lever for 1955-57 Chevrolet full size models. The front and rear parking cable attach to this lever. The notch in the bar fits into the frame. Note: Will not fit convertible models. This is reproduction of the factory parking brake spreader bar used on 1951-64 full size models. Two required per vehicle. Reproduction parking brake idler lever for 1955-57 Chevrolet Bel Air convertible models. The front and rear parking cable attach to this lever. The notch in the bar fits into the frame. Rear parking brake cable for 1955-57 Chevy with Ford 9" rear end. Cable goes from clevis to backing plates on the rear end housing. Includes smooth rubber boots. 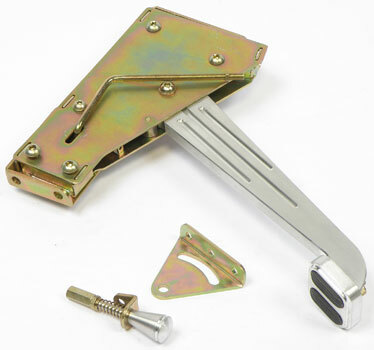 Reproduction of the original park brake pad for use on all 1965-70 Impala and Full Size models. Correct reproduction includes replicated configuration for an original appearance. This custom emergency brake handle adds a custom touch to your interior. Machined from 6061-T6 aluminum, and hand polished to a mirror finish. 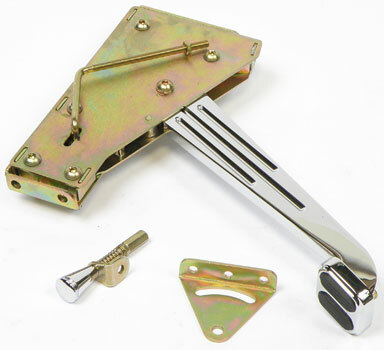 This chrome replacement parking brake handle fits 1953-57 Chevrolet Corvette. This plastic brake cable roller works with the brake cable roller bolts and the rear parking brake cable to ensure proper parking brake operation. Includes two rollers. Reproduction parking brake cable springs for 1955-57 convertible models. This cable spring provides tension for the idler lever and keeps the parking brake cable system functioning.  This reproduction front parking brake cable fits all 1955-57 Chevrolet convertible models and is manufactured to original specifications to ensure correct fit and appearance. This reproduction emergency brake cable spring fits all 1955-57 Chevrolet full size models except convertible and features correct ends. 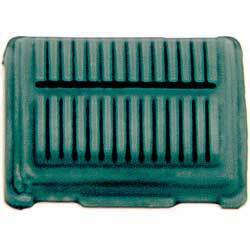 Replacement rubber boot for the emergency brake cable for all 1947-59 pickups. This reproduction front parking brake cable fits all 1955-57 Chevrolet models except convertible and is manufactured to original specifications to ensure correct fit and appearance. This reproduction brake cable roller bolt works with the brake cable rollers and the rear parking brake cable to ensure proper parking brake operation. Two bolts are required per vehicle. Reproduction parking brake adjusting linkage for 1955-57 Chevrolet Bel Air convertible models. Includes adjusting rod and clevis assembly that joins the front parking brake cable with the two rear cables.